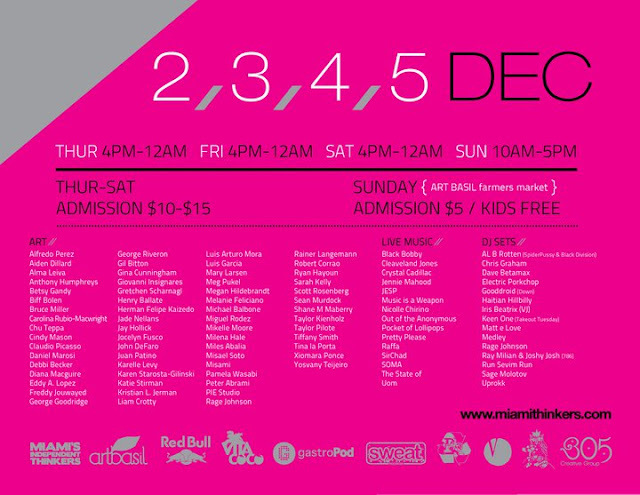 ::: Off the Radar :::: Art Basel 2010! Hey folks it's that time of the year again in Miami when the weather is sublime and the art / music kicks in for the yearly event known as Art Basel. Seriously the best time of the year to be in Miami. I'll take this time of the year over WMC anyday. More artsy people and not so many spring breakers. Here's a post I did last year with some of the amazing art I ran across. It all kicks off this Wednesday, Dec 1st were Metric is gonna be playing a live Free Show right on the beach/sand for Art Loves Music. Always look forward to these performances. Some past performers have included: Peaches, Scissor Sisters, Iggy Pop, Yelle & New York Dolls. Here are a couple events that Off the Radar is involved with this year. 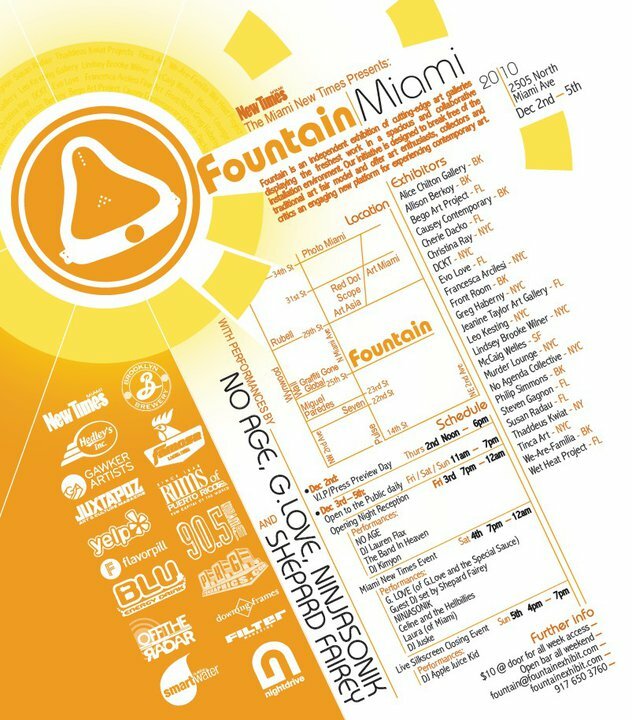 First we are sponsoring the Fountain / Miami Exhibition which on top of amazing art will also feature performances / DJ sets by the likes of No Age, Shepard Fairey, G. Love, Ninjasonik & more! You guys have to make a stop here at some point during the week. 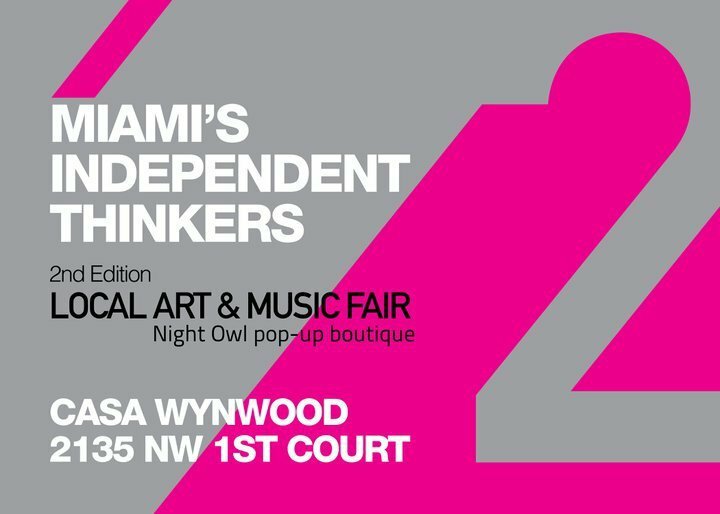 We are also involved with Miami's Independent Thinkers which is something near and dear to our hearts, Miami artists! With all the art world in attendance it's nice to have an exhibition showcasing local artists for all the out of towners to see, Miami artists got it going on too! Joshy Josh and I will be doing a (786) DJ Set Friday from 8-10 PM. Hope you can make it out! Below are the flyers for the events. Of course there's a million other things to see/experience as well. We hope you have a great/safe time while in Miami or if you're locals like us, wish it was like this all the time. Happy Baselin!! Is anyone going to the Bruise Cruise Festival?